Nigeria, whose New Alliance partner is the UK, is allocating 350 000 hectares of land to eight companies. As many as 422 African land acquisitions concluded since 2000, another 147 massive land deals adding 13,3 million additional hectares are in the pipeline, according to a new report by The Land Matrix initiative. The report was jointly produced by the International Land Coalition (ILC), the University of Pretoria, the French NGO, Centre de Coopération Internationale en Recherche Agronomique pour le Développement (CIRAD) and several other partners. 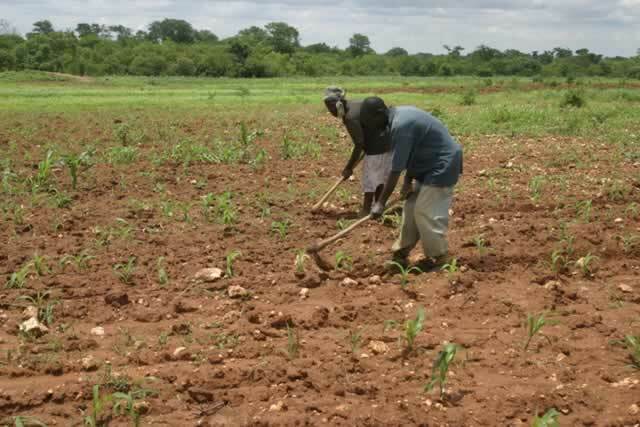 Titled “Land Matrix Analytical Report II: International Land Deals for Agriculture”, it says that with 42 percent of all global land deals, Africa — which faces worsening land and water scarcity, threatening food production — is the region most targeted by foreign investors. With land being leased to wealthy foreign investors for up to 99 years at unjust giveaway prices — $1 per hectare per year in some of the poorest countries in the world — coupled with weak regulations and allegations of corruption, the new, post-colonial scramble for Africa is a bonanza for many. Another African pull is cheap labour and a largely untapped consumer base. The corporate capture of African agriculture is largely being blamed on a new style of radical, public-private partnerships, which G8 countries and their allies are bankrolling to stimulate a “uniquely African Green Revolution” in a major shift in development aid. The trumpeted, multi-billion dollar initiatives include the G8’s New Alliance for Food Security and Nutrition in Africa (NAFSA), the Bill and Melinda Gates and Rockefeller Foundation’s Alliance for a Green Revolution in Africa (AGRA) and the US government’s global hunger and food security programme, Feed the Future. They have all heroically pledged to tackle poverty, improve food security and gender inequality in African agriculture and bring benefits to small-scale African food producers. They have also promised to support sustainable agriculture. They plan to achieve these laudable goals by championing the private sector, including biotech giants Monsanto and Syngenta, to achieve rapid industrial agricultural growth to meet the food needs of Africa’s growing population, which is projected to double to 2,4 billion by 2050. Participating African countries have committed to a policy and legislation overhaul to facilitate increased private-sector investment and trade. But instead of reducing hunger and poverty, food campaigners warn, the initiatives will push the profit-driven interests of multinationals. Concerns are echoed in several scathing reports on the New Alliance by Actionaid and the European Parliament. Sudan, Ghana, Mozambique and Ethiopia are the most targeted African countries, with most large scale land acquisitions concentrated along major rivers and in East Africa. Food campaigners have accused G8 nations of reneging on the commitment they made at their L’Aquila summit in Italy in 2009, where they pledged $20 billion to support “country-owned” strategies for food security, nutrition and sustainable agriculture, reinforcing the Comprehensive Africa Agriculture Development Programme (CAADP). The CAADP was sanctioned at the AU Heads of State Summit in Maputo in 2003 as a New Partnership for Africa’s Development (NEPAD) programme. African governments committed to increase agriculture production and pledged at least 10 percent of national budgets to the sector to boost growth. The New Alliance is the G8’s main strategy for supporting agriculture in Africa. It was put together by President Barack Obama and big agribusiness at the G8 summit at Camp David in 2012 and funded by the US, UK, France, Italy, Canada, Japan, Germany and Russia, which have committed $4,4 billion to 10 countries that have signed up to the initiative. The US and EU are its biggest funders. Burkina Faso, Benin, Cote d’Ivoire, Ethiopia, Ghana, Malawi, Mozambique, Nigeria, Senegal and Tanzania are the 10 African countries that have signed up to the initiative. According to Actionaid, a total of 180 transnational and African corporations including Monsanto, Diageo, SABMiller, Unilever and Syngenta, are participating in the New Alliance, planning to invest $8 billion in African agriculture in the 10 participating African countries. The $150-billion Alliance for a Green Revolution in Africa (AGRA) was launched in 2006. Its key donor and development partners include the Bill and Melinda Gates Foundation, the Rockefeller Foundation — the two founding organisations — the Swedish Ministry of Foreign Affairs, UK’s DfID, USAid, the International Development Research Centre and Luxembourg. The World Bank, Norwegian fertiliser company, Yara International and US food giant, Cargill Inc are also partners. Partners of Feed the Future, the US presidential global hunger and food security initiative, is also operating in many African countries. This includes Ethiopia, Ghana, Liberia, Malawi, Rwanda, Tanzania and Zambia. Small-scale African food producers, the backbone of Africa’s traditional farming systems, are expected to largely benefit as outgrowers. Actionaid’s 2015 report highlights the pressures of large scale foreign investments on farmland in participating countries. The report, “New Alliance, New Risk of Land Grabs: Evidence from Malawi, Nigeria, Senegal and Tanzania,” says 1,8 million hectares of land have been leased to foreign interests. Nigeria, whose New Alliance partner is the UK, is allocating 350 000 hectares of land to eight companies. Three of them, Dominion Farms, PZ Wilmar and Okomu Oil Palm Plc, are involved in land grabs in the country, the report alleges. It says the Nigerian government is also promoting staple crop processing zones (SCPZs), supported by the UK’s DfID, where investors are “guaranteed land acquisition”, benefit from “low average wages” and are given tax holidays. Small but densely populated Malawi, whose New Alliance partner is the EU, has agreed to release 200 000 hectares for large-scale commercial agriculture. But Actionaid’s report says its National Export Strategy, whose recommendations are incorporated into the New Alliance Cooperation Framework, allocates 1 million hectares to commercial farming, or more than a quarter of all arable land in the country where access to land remains unjustly unequal.